You may be aware that physical therapy may help treat sports injuries after you’ve injured yourself. However, you may not know there are nine sports injuries physical therapy may help you avoid. Fortunately, one North Carolina-based physical therapy team can help you find out which sports injuries you may be able to prevent with physical therapy. At Peak Performance, our team is proud to offer high-quality physical therapy services to the residents of Havelock, New Bern, Swansboro, Winterville and Jacksonville, North Carolina. One reason that our services may be more effective for you is we listen to your needs. 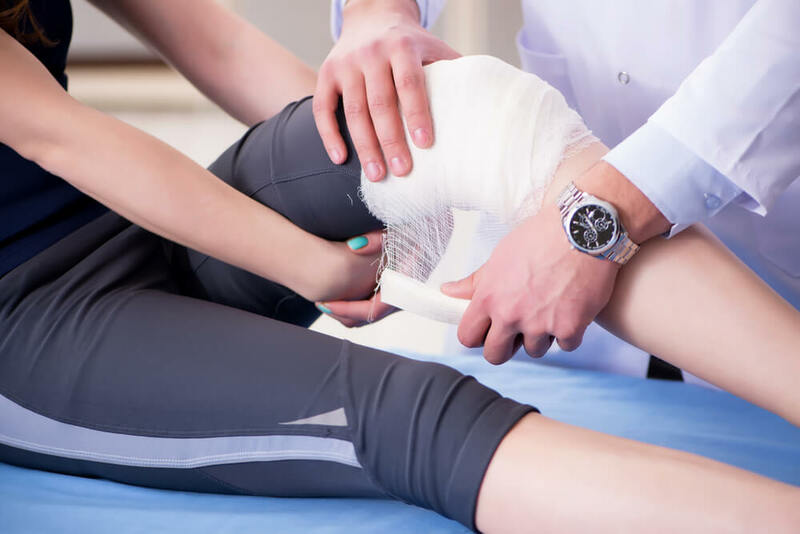 We’re also committed to building you the best therapy plan for your injury or medical condition, and we use only the most effective evidence-based therapies when building our treatment plans. We may even be able to offer you physical therapy plans that may help you avoid nine specific sports injuries. Our Peak Performance team knows there are nine sports injuries our physical therapy may be able to help you prevent. However, we also know there are many ways you may get a sports injury in the first place. One common cause of many of the sports injuries our team sees is impact. For instance, you may play a contact sport, such as football or rugby, where you’re often running into other players. In other cases, you may play a sport with a high risk of falling hard on the ground, such as soccer or basketball. Our team knows these and other types of impacts can result in you injuring yourself. A second cause of sports injuries that we frequently see is not warming up. Our team knows warming up with stretches and easy body movements is vital if you’re trying to avoid sports injuries. However, we also know that players in a hurry will often rush through their warm up or even skip it all together. Unfortunately, such practices make sports injuries much more likely. A third common sports injury cause our team sees is sudden changes in direction or sudden stops. We know that many sports may require you to quickly change direction or stop to avoid another player. For instance, running backs in football and soccer players will often try to outmaneuver or “juke” an opposing player when they have the ball. However, the sudden nature of such movements places extra stress on your muscles and joints that may increase your chances of injury. Are you ready to find out how including physical therapy from Peak Performance may help you avoid nine sports injuries? Contact our team today for more information or to schedule an initial appointment.